Olympus's first Micro Four Thirds digital camera will resemble the legendary Olympus Pen camera which debuted half a century ago, a Japanese press report claims. Olympus’s first Micro Four Thirds digital camera will resemble the legendary Olympus Pen camera which debuted half a century ago, a Japanese press report claims. The long-awaited camera is due to be officially unveiled this summer. So far, only mocked-up versions of the camera have been shown to journalists at photographic trade shows. An Olympus UK spokesman declined to comment on the report. 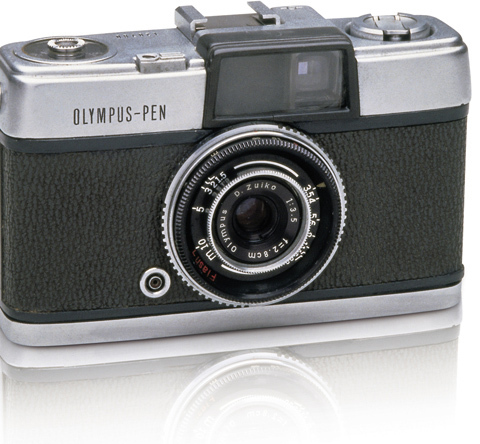 Click here to watch a short 50th Anniversary movie about the Olympus Pen, and for more on the camera’s history.